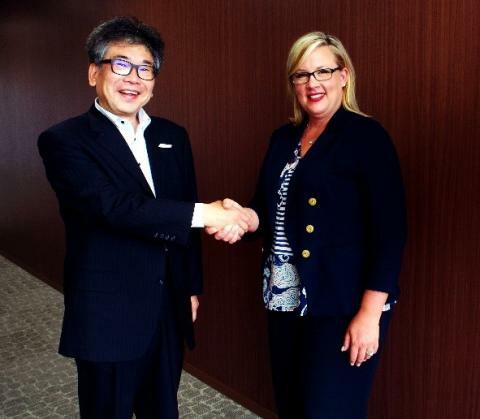 Minneapolis, 1 August 2018: CWT Meetings & Events, Carlson Wagonlit Travel’s meeting & events division, has partnered with JTB Communication Design Co., Ltd. (JCD), the meeting & events arm of the JTB Group, to provide Strategic Meetings Management services to companies in Japan. Strategic Meetings Management (SMM) is the enterprise-wide management of meetings and events. It’s a strategic approach to managing a company’s meetings and event processes, suppliers and data to create substantial efficiencies. The key benefits are greater transparency of spend, cost reductions, improved compliance, risk mitigation and improved effectiveness of the company’s meetings and events. The partnership brings together the global SMM expertise and experience of industry pioneer CWT Meetings & Events with JCD’s in-depth knowledge and understanding of Japan’s MICE industry to create SMM solutions tailored to Japan’s unique transportation, accommodation, venue management and regulatory environment. The implementation of SMM programs by European and American companies with global operations in sectors such as IT, pharmaceutical, energy, and insurance has accelerated in recent years. Asia Pacific remains amongst the least mature regions when it comes to SMM adoption, primarily because processes tend to be highly manual. This is a result of local market nuances which may not fit a global framework on which most technology is engineered. Still, Japan is one of the markets in the region where interest in SMM programs is quickly gaining traction. In a 2016 study by CWT, more than half of meeting and event planning professionals surveyed said their companies had achieved savings of 10% from their SMM program, with a further 17% of respondents saying they had saved more than 15%.